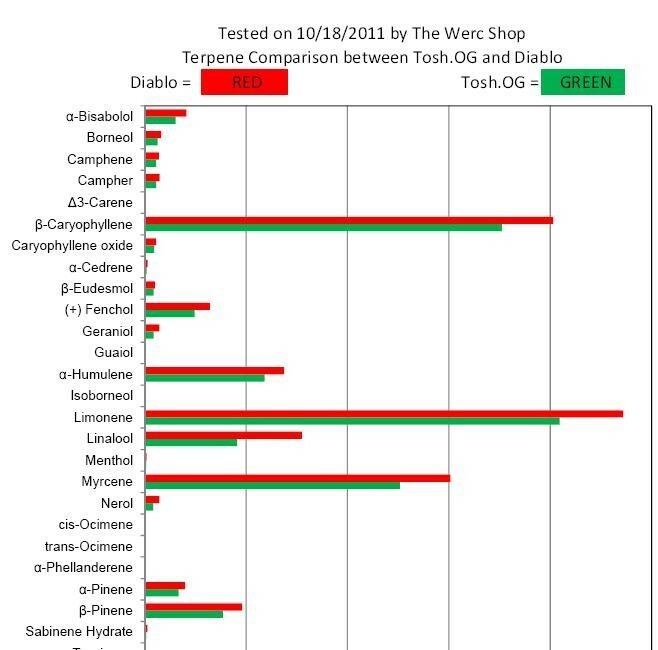 Bay Area residents have yet another thing to be snobs about in 2012 as knowledge of “terpenes” — the building blocks that make up the unique smell of cannabis — begin to waft into the mainstream. Drug companies are researching the therapeutic properties of these simple organic molecules, and at least two California medical cannabis labs have begun testing for their presence in dispensary weed. One lab in Davis even holds routine smelling classes. Rick Pfrommer, manager at Harborside Health Center in Oakland, said that as head buyer for the popular dispensary, he has smelled countless numbers of bags and glass jars full of the sticky icky and that a lot of the odors he detects aren’t actually coming from the weed. “You can smell everything from bat guano to heavy salt hydroponic fertilizers,” Pfrommer noted, during an interview inside Harborside’s buyer’s room, which is dominated by the examination counter, shelves of pot strain reference books, and expensive computers. Pfrommer has been selling ganja for about 25 years. “You can smell chlorophyll, if a sample’s not cured well .... You can also smell molds," he continued. “Once you’ve smelled multiple thousands of samples of cannabis, when something is off, it's apparent that it's off, like, as soon as you crack the bag open." Like a wine sommelier or a buyer for a boutique coffee roaster, Pfrommer smells each potential new addition to Harborside’s menu using a specific ritual. First, he pops open a glass jar of coffee beans and takes a big sniff. Like ginger before sushi, coffee beans reset the palette, he said. Then he takes a big whiff from a sample cannabis bag, fishes out a single nug, cracks it open, and inhales deeply. “All you really want to smell is the terpenes,” he said. Herbalists have recognized the power of terpenes for decades. 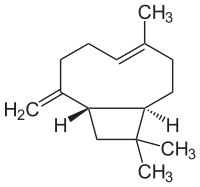 limonene (also found in lemon) is an antidepressant and immune-stimulant in humans; alpha-pinene (also found in pine needles) is an anti-inflammatory, a bronchodilator, and a wide-spectrum antibiotic; nerolidol (also found in oranges) is a sedative; linalool (also found in lavender) has an anti-anxiety effect; and mrycene (also found in hops) is a sedative, a muscle relaxant, a sleep aid, and an anti-inflammatory. Trainers teach drug dogs to hunt for beta-caryophyllene, a terpene in cannabis that also is an anti-inflammatory. 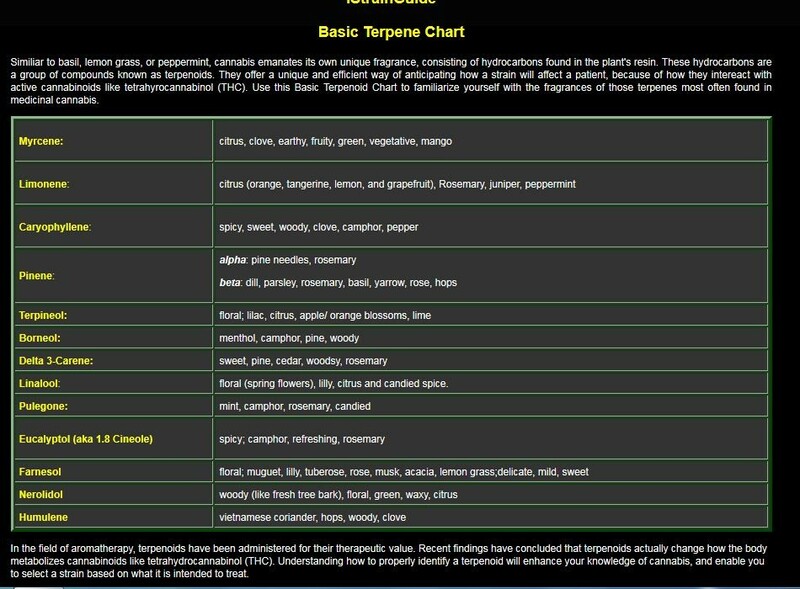 Terpenes are also the chemical precursors to the euphoric ingredient in pot, THC, making them a proxy for potency. Researchers like Ethan Russo, senior medical director at GW Pharmaceuticals, believe that terpenes contribute to the “entourage effect” that lies at the core of medicinal cannabis’ efficacy in treating nausea, inflammation, chronic pain, and more. GW Pharmaceuticals has started growing terpene-only pot — sans THC — to better investigate the effects of terpenes, O'Shaughnessy’s reported. And unlike the THC pill Marinol, the new prescription throat spray Sativex contains THC, its therapeutic peer, CBD, and terpenes. Terpenes also enable pot snobs to make outlandish yet credible claims that they smell chocolate, mango, diesel, or lavender in their bag. The five to ten main terpenes in cannabis have about 25 more rare peers, but cannabis has been found to contain more than 200 different types of them. The combinations are infinite. And the smells they create can have a big effect on medical cannabis users. Popular strain OG Kush contains a mix of alpha-pinene, limonene, and perhaps myrcene to create its trademark “lemon, Pine-Sol funk,” Pfrommer said. Jack Herer’s beloved smell comes from sugary-pine terpene called terpineol. 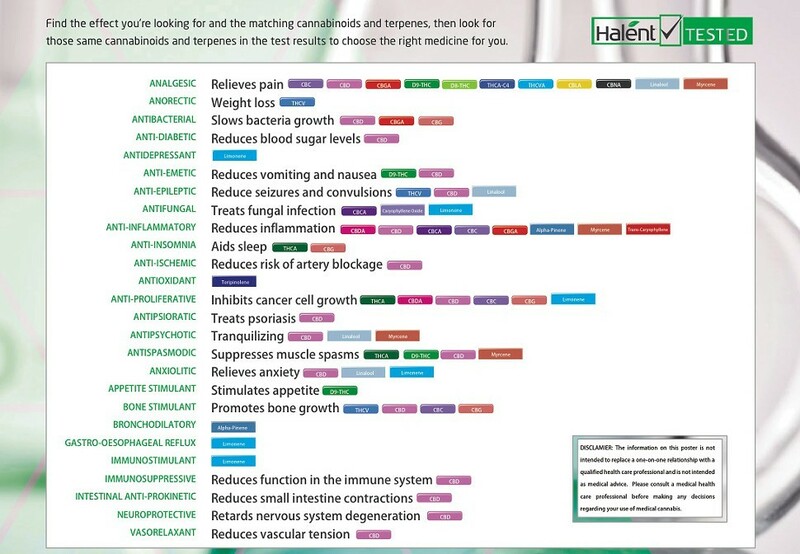 Cannabis lab data from Halent Labs and The Werc Shop near Los Angeles is helping to elevate breeding to a science. It’s also giving patients a first-ever ingredients list for that dubious doobie, said Jeffrey Raber, director of The Werc Shop. Down the line, Pfrommer envisions legal OG Kush deodorizers or Agent Orange floor cleaners.